Born in Westminster Township, Middlesex County, Upper Canada on 20 July 1829, the second son of Samuel Glass who came to Canada from County Armagh around 1819, and of Eliza Owrey. When eighteen years old he dissolved his grain business partnership with his brother to attend the London Grammar School, but in 1849 he sailed out of New York for Texas during the gold rush. He returned to Canada at the end of that year. Entering law, he was called to the Ontario Bar in1864, and was created a QC in 1876. From 1855 to 1857 Glass served as Alderman for London, Ontario, and in 1858 held the offices of Mayor, Police Magistrate and Recorder. He was re-elected Mayor in 1864, having been opposed by F. E. Cornish, later first Mayor of Winnipeg, and again in 1865, when he was unopposed. In federal politics, as a supporter of John A. Macdonald, he was an unsuccessful candidate for the constituency of Bothwell in the election of 1867. In 1872 he won the federal seat of Middlesex but in 1873 opposed John A. Macdonald, Prime Minister of Canada, on the “Pacific Railway Scandal” which ended the Conservative administration. He was defeated in the subsequent elections of 1874 and 1878. On 22 December 1852 he married Sarah Dixon Dalton, second daughter of Henry Dalton. 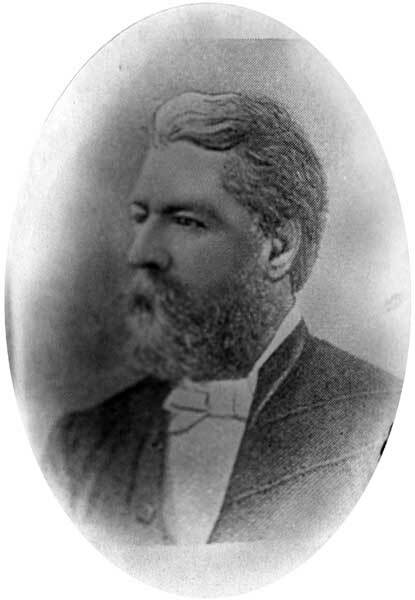 Two years before his arrival in Manitoba in 1882, Glass was made a Bencher of the Ontario Law Society and was Deputy Judge of Middlesex County. He was called to the Manitoba Bar in 1882 and was appointed Solicitor for the City of Winnipeg. An Independent in provincial politics, he lost his bid to sit for Minnedosa in the elections of 1883 but was elected as the member for St. Clements in 1886. During the session of April 1887 to June 1888 he was Speaker of the Legislative Assembly, but retired from politics at the end of that term because of ill health. He then travelled extensively, living in Rossland, BC and Spokane, Washington, where he died on 7 July 1906. He was buried in London, Ontario.